I’m going to talk about my three linked careers, and the political principals that convinced me to make the decisions I felt were necessary to change one career for another. I want you to understand I am addressing Anglo/American conditions. What they may imply about your own countries is for you to decide. I am not usually good at showing appreciation and I usually forget to say thank you but this NEEDS to be said without a doubt!! Mhairi shares her experience of participating in TCFT activity for the first time at TCFT Croydon 2018. Shaniqua looks back on the first day of TCFT Croydon 2018, while looking forward to the upcoming days in the programme. In university Robert became active in politics on the campus where the Students for a Democratic Society had been formed. He ran a political campaign demanding equal rights for all and then joined a small group of University of Michigan students to go to Montgomery Alabama. MLK had asked for white students to help present a demand to the racist governor George Wallace to allow the second Selma march to be allowed to proceed in peace. Robert’s groups were savagely attacked by mounted KKK, supported by state troopers on motorbikes. Following on from a series of discussions and workshops on the involvement of young people in policymaking and cultural activities, a small group from TCFT will be joining SLYNCS (from the Northwest of England) in Brussels, Belgium for a visit of the European Parliament and a programme of workshops and presentations on the various things we can do to improve our communities and the future cultural relationship between the UK and our neighbours across Europe (and the world). From February 19 - 21 12 people from TCFT UK will be travelling to Brussels to spend three days advocating for young people's involvement in policy and community movements, learning how the European Parliament works, meeting with Culture Action Europe and EUNIC at the Bozar/Centre for Fine Arts, celebrating the World Day of Social Justice at Pianofabriek cultural centre and taking part in a presentation of the work of Crisis Classroom at the European Parliament with Darren and Kate. 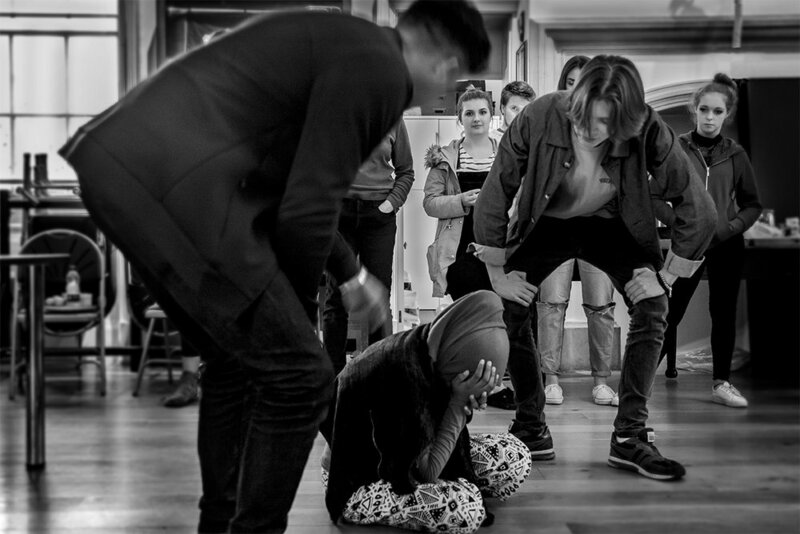 We may also be visiting Brussels' world-renowned opera house, Le Monnaie, to explore their new refugee community production around the stories of Orfeo and Majnun. Jordan Wildon, who first joined us in Bournemouth, will be making a radio podcast/blog for the trip, allowing us to share our thoughts and discussions with everyone. 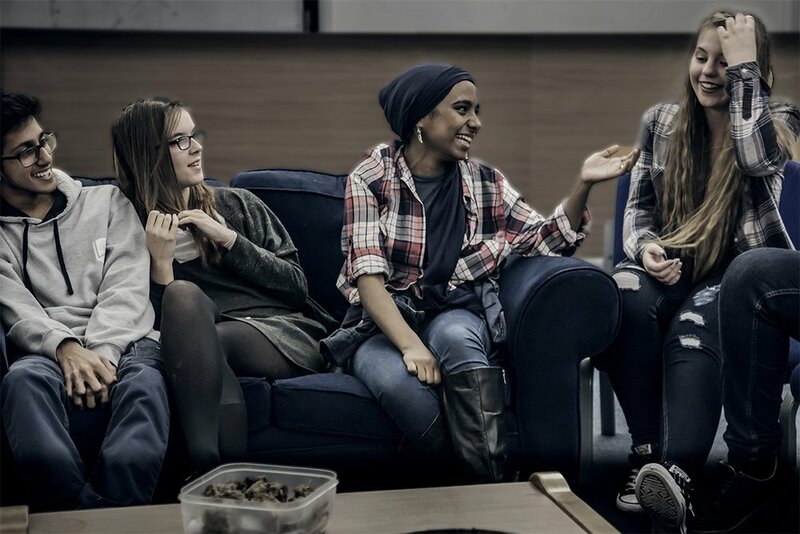 We'll also be joined by a group from SLYNCS in Blackburn, to continue our series of conversations and discoveries about different cultures across the UK. This trip would not be possible without the support, ideas and funding of Clare Moody & Julie Ward - Members of European Parliament for the Southwest & Northwest of England - and their staff as well as Alain Ruche for his advice and care. Shaniqua reflects on the process of bringing TCFT to Croydon. Recently UPGTeam's spokesperson Alister attended an EU conference on Street Arts and how Street Theatre can deal with issues of social justice. It was a big deal for us to speak at the world's most transparent and open parliament, and we've since been asked by quite a few people for a copy of what we said. You can find the full text below. It'll take 10 minutes to read. It does involve Brexit. Enjoy! I must express my gratitude to Marko Stankovic and Irena Ganescu for their vision, bravery, hard work and excellence in creating a seemless set of events, and for taking such care of Tina and myself. Dinu Munteanu, Research Assistant and Bournemouth University writes about the research into the Impact TCFT has had over the years. Read about Pedro's experience during TCFT 2017 in Sarteano, Italy! Laura Fatini shares how being part of the TCFT community gave her a sense of ease. Sandra Djuric shares her reflections on what the TCFT experience has been for her. Some thoughts about what has been achieved with TCFT and what the future might hold. Tina Ellen Lee, Artistic Director of Opera Circus and lead organiser of TCFT and the Erasmus + grants 2015 -2017. It was an interesting and beautiful day that achieved its goal by bringing people together for the same cause and developing a better understanding and communication within the society. 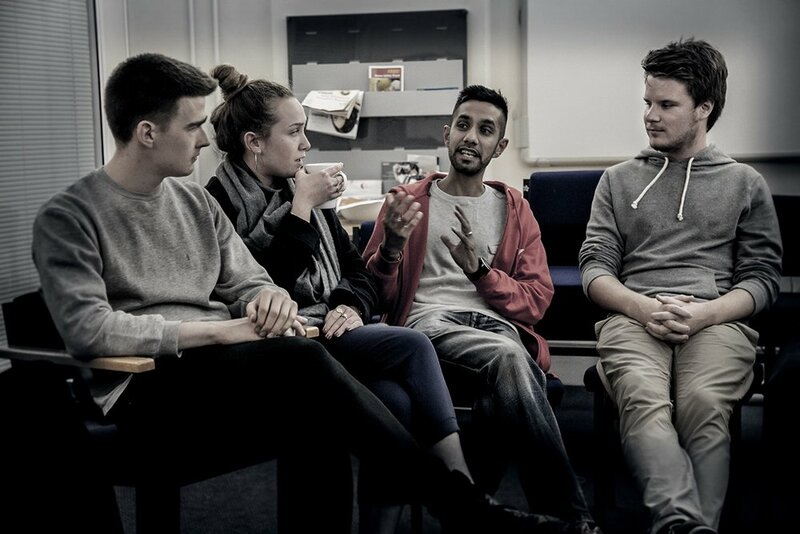 One of the beautiful things about The Complete Freedom of Truth is that it brings together enthusiastic youth organisations and young people, keen to share thoughts and creative pieces of work and who most of all want to collaborate together to form responses to issues effecting their generation. One such issue is Brexit. Collaborating with UNDIVIDED, a youth led campaign seeking to gather the views of 1million young people regarding Brexit; TCFT, SLYNCS, representatives of the Community Youth Group Bridport and young people new to the work and philosophy of TCFT gathered for a weekends’ residency to have a creative discussion on this issue. This was an excellent time for young people to explore what Brexit means to them and to establish what demands they felt were important to be included in the negotiation stage with Government. 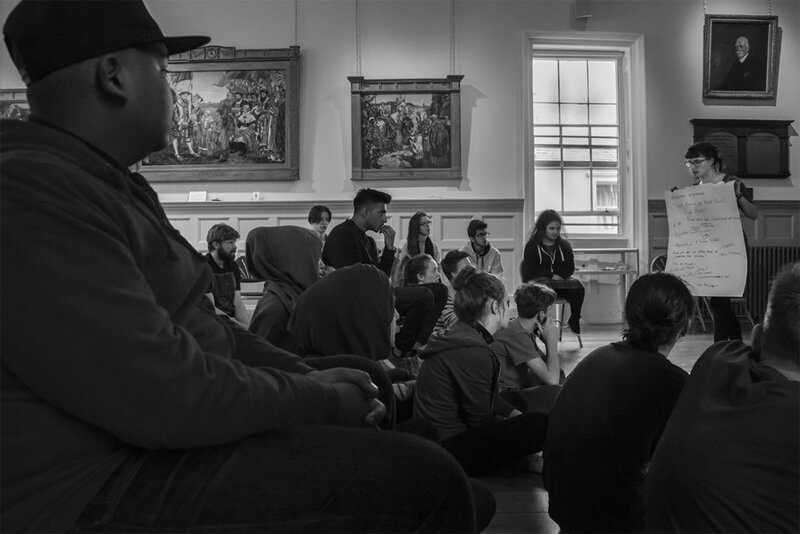 Exploring these issues through a creative process, the thoughts produced were then delivered through an immersive sharing performance at the end of the day, which encouraged the audience to themselves participate in conversation around the issues raised in the young people’s performances. During the two days of discussion, there was a definite move away from the feelings of anger and disappointment which the majority felt towards the outcome of the referendum, to that of productive discussions around what young people want to see from the negotiations. In collaboration with UNDIVIDED, the young people are now uploading their thoughts and demands to the online campaign, which will then form part of the demands which are sent to Government. For other young people who would like to be involved in this process, visit their online platform and have your say! This weekend further built upon the relationship between TCFT and SLYNCS, the youth organisation from Blackburn, developing exciting plans for collaboration in the future. It was also an excellent time for young people to gather together, learn from each other, engage in political and social discussion, form friendships, grow in their confidence in publicly sharing their ideas and come away inspired to take these ideas back to their local communities. Many thanks for the excellent facilitation through Forum and other theatre techniques led by River and Malaika Cunningham, both freelance trainees with Cardboard Citizens. David Powell created a context for the day by explaining child and young people’s rights and provided some thinking for all of us around the issues of Human Rights and Democracy. Rory Newbery, Caspar Hulacki, Amy Wisenfeld and Abraham Baldry, youth leaders, led the process with special thanks to Anna Golding. Thanks to Bridport Arts Centre for the help with theatre tickets for “Labels” a brilliant piece of work around the problems of a young man from a mixed race family by Worklight Theatre. Thanks to Bridport Town Council for the use of the Town Hall, the Youth Centre and The Stable for their excellent pizzas and the generous Bridport hosts who shared their homes and support. Something begins to happen when a group of creative people come together who all care about the same thing.